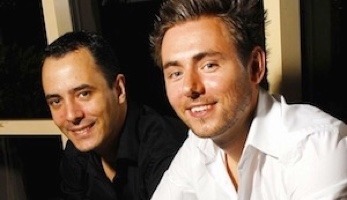 Todays interview is with Peter Ward and Jerome Touze, who run the world’s largest travel and lifestyle social network community website with 15 million members in 193 countries worldwide. I really enjoyed doing this interview today, they were very funny guys, always cracking jokes. Actually it took us 3 takes to get going because I kept laughing when they did an introduction. Just to show you guys how big they really are, they have had the founder of Jagex which owns Runescape, a billion dollar company invest in them. The CEO of CheapFlights and even the founder of FriendsReunited.com! What’s really remarkable about WAYN.com was the first 1 million members were paying members and then they decided to release a FREE version. So you guys run the world’s largest travel site, social site, and that’s called WAYN. What does WAYN stand for? So, WAYN stands for Where Are You Now? It’s, as you just said, a lifestyle and travel community website with 15 million members worldwide. It is a concept that both Peter and I came up with just before we joined a company called Accenture back in 2002. We had the idea when we came back from travelling. And we started to brainstorm the concept was working for Accenture for a few years, and launched a site officially in 2005 after having secured certain original backing from the founder of Friends Reunited, which were extremely popular in the UK when they launched in early 2000. And WAYN has grown ever since from strength to strength. We had about 40,000 users in March ’05 when we relaunched our site properly. Then it went on to about one million users by the end of 2005. A point at which we decided to go full time onto the business, and decided to really expand it from there. And we’ve had, obviously, a very exciting journey ever since. And WAYN is, as you’ve probably seen from the press and the latest of being talked about in the industry, have had a great relaunch and a new strategy and new branding and things to be looking forward to. That’s great, guys. So, how did you manage to grow it from 45,000 members, I think you said, to a million in around six months? Well, I think the first thing that we obviously did, is look at what the other social networks were doing in the space. 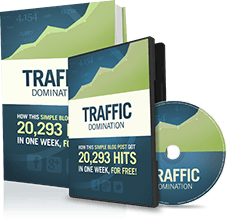 And we could see that the fact that you could invite your friends from other networks, whether it be your Hotmail, your Yahoo, your Gmail and so on, was a very popular way in which to grow virally. And so, we adopted a similar approach, and we were one of the first social networks to do that. And it helped us to grow much, much more quickly. We did use Google AdWords before that as a way of attracting users, but it was not anywhere near the extent of success that the viral approach that we after that was. But, I think that over time, you realize that you can’t rely on just contact import, you need to have an element of stickiness to the site that’s going to actually create the word of mouth viral growth. And I think that, fortunately, we had a differentiated enough proposition, which was the focus on the travel and the lifestyle, which no one else was really doing. And that, I guess, appealed to a certain segment of our audience at a point where we became the largest in that space. You just mentioned you had to have your site sticky. How were you able to make your social network sticky enough for people to come back every day? Well, I think there was the introductions of the alerts and news feeds that were first seen, if anything, on social networks like Facebook. I think many social networks and businesses have actually learned a great deal as to what Facebook has actually done. But we started to launch the alerts a good year and a half ago now, which was purely based out of the activities generated by the users and communicating with their circle of friends based on what the user was doing. We’ve all seen alerts similar to you’ve been tugged into a footer or whether you’ve received a message. And being informed as to what’s happening in your community to drag the user back into their profile. But one thing that we’ve just really refocused the mind on is this new service that we’ve just launched, which is, if anything, focusing on what the users up for doing. One thing that we realize with travel, if anything, is that there was perhaps too much cyclicality and seasonality around what users were doing. You know, let’s face it, travel is clearly a very exciting and very broad sort of focused angle. The one thing that we do realize, is the things that the things that people do a lot more, are the things that’s to do with their close vicinity and doing the weekends or in the evenings. Whether it’s going for a bit of air, going to the restaurant, going to the cinema, the theatre, playing bowling, you name it. And a thing that we really looked at the social network and its history sort of paced by social networks or perhaps reunion sites, should I say, like Classmates and Friends Reunited that were very much focusing on the past. And now we are very much a fan and founder of the likes of Facebook and Twitter, which are focusing on the present. With questions such as what are you doing now? But no one was really looking to the future. So, this new service that we’ve just launched, we really believe will allow us, if anything, to tap into a lot more active usage by really focusing the mind on what users want to do, and inviting their friends to join in those plans. That’s really clever, Jerome. I like that. You guys are like one of the most profitable social networks that I’ve heard of. You started with a paid membership, I believe? Yeah, I guess we had the benefit of knowledge from the founder of Friends Reunited, who was our first angel investor, Steve Pankhurst. In the sense that they were growing a very profitable business in Friends Reunited. And at the time, there were very few competitors in our space who were offering a similar service to ourselves. So, we felt that it was justified for us to charge a premium subscription service. And that was great for us to start with because it meant that we became extremely cash positive and was generating a lot of profit. But it also meant that in some respects we were stifling the growth potential of WAYN because, obviously, some people would not want to pay, and therefore were not being as active to the service as they could have been. Coupled with that, we had, obviously, the explosion of growth in the new social networks that were offering a fremium model such as the likes of Facebook and MySpace and, obviously, now the likes of Twitter as well. It’s become even more difficult to really justify a premium subscription model unless you really do have a truly justifiable or differentiated product that the people are willing to pay for over and above. So, we’ve kind of had much more of a broader approach to the revenue business model since then. In fact, advertising represents by far the largest portion of our revenues. And we’ve actually developed some of the leading, spearheading, social media type campaigns with some of our advertisers, which is something that we’re very much encouraging to do more of. On top of that, we’ve also launched a micro transactions platform which allows users to buy virtual goods, such as gifts, super rate other members, and send say hellos. Which is something that we see ourselves expanding on in the future. And, in fact, we see PLANS, which is obviously the new offering which Jerome eluded to, where people are obviously planning what they’re up for doing in the future, as being one of the key enablers to bringing together a number of additional microtransaction opportunities. But, I can’t give too much away on what we’re planning to do there. All right, that’s cool. So, you mentioned you were very cash positive, but I understand you did take 11 million in your first series of funding? So, I think when it comes to the finances, we can’t disclose too much as to where we are and where we’ve been, but I think generally speaking, the company was profitable from day one, as you eluded to. We’ve invested ever since, a lot more, clearly, in the growth of the business. When we did and the fundraising in 2006 it was an $11 million series fund. The party clarity of that deal was the combination of money out and money in deal. At the time we didn’t need to take too much obviously equity dilution because of the fact that we were profitable and fast growing. Michael: Brilliant. So I guess a question a lot of my readers and my listeners will be asking is how were you able to attract people to fund your project such? I understand you had David Soskin from Cheapflights.com come along and invest money and you also had the cofounder of Jagex, which runs RuneScape, a game I know very well. They came along and invested also in Friends Reunited. How were you able to attract these people in the first place to come and invest in yourself? Well, I think it started with, if you look at Cheapflights, it started actually from a commercial discussion. We were engaged with the Hugo initially on the potential integration of Cheapflights within the website. And the commercial discussions turned into an investment opportunity. Whereas people like Constant were actually introduced to us by other venture capitalists that we met in the circuit in New York. Brent was from a conference that Pete attended. And Pete wanted to introduce himself to Brent and when we met our VCs for the first round discussion, we thought it would be a fantastic candidate for potential chairmanship and investment. And Brent joined when we introduced the opportunity to him. So all that one thing to another. When we met the VCs at Esprit Capital Partners around August, 2006, September, 2006, the process went very quickly. It was about eight weeks from introduction to completion. The VCs were quite keen to have an extra $1 million brought onto the table by concession of investors. This is where we thought that having the expertise of a combination of guys as chairs Cheapflights, Jagex membership experience and Brent for his travel and overall trip ownership experience would be a great addition to the table. I’m sure so many people have seen the growth of Facebook, Beebo, MySpace and even wayn.com and really looking to start their own social network. What would you say to those people who are considering doing that? Well, I think that there’s obviously a huge buzz in social media world. I think it’s great and should be very much encouraged to have the entrepreneurial innovation that we are seeing. The industry that we are a part of is thriving, despite the credit crunch and the impact on the economy. The amount of events that we are attending to or being invited to and the social scene is really helping to foment a bit of a ecosystem certainly in London and beyond. I think that in terms of setting up a business in this space, it is becoming increasingly more challenging in terms of finding a real business opportunity that’s going to make money. But it’s like a needle in the haystack thing. It’s very low barriers to entry in terms of setting up a website these days. You have cloud computing. You have low cost of running systems and the actual time to market in terms of developing stuff these days can be very quick and can grow very quickly. But the reality is that most of these businesses that are setting up have not identified a real revenue stream that is sustainable. So I think that the real focus needs to be on where is the value? And I think that now with the current climate that we’re in, we should see a flight to value, which is actually going to be a good thing, I think. Because there will be a consolidation in the market. A lot of those good ideas that don’t really necessarily have any substance will fall by the wayside and you’ll see an emergence of the real high value focused propositions. The reality is you got to remember that the likes of the founders of Google, their idea was very simple. They didn’t think about a business proposition at the beginning and it turned out to be one of the most successful business models in the world. So I think that the whole innovation engine is a powerful one and I strongly encourage it. Brilliant. Thanks very much for that. I completely agree with you on the value side of the business. You have to provide value before you provide anything else. Yeah, that’s great advice. What is your lifestyle like? When I speak about the Internet lifestyle, for me it’s first being able to work when I like, where I like. What are you guys up to every day? Yeah, unfortunately it’s not as glamorous as being able to work from very exotic location on a beach with a laptop. It would be great if we could do that from time to time. Just be careful we are going to hear the waves in the background. Well, actually Peter and I have been very lucky to be able to do some coinvestments as a side of the business in properties. Whenever we can we try to escape and do work remotely one week or two weeks, maybe every six months. We use that opportunity if anything to brainstorm because one of the things that we realize is that it’s amazing how much time you spend tactically on a daily basis and not enough time is being spent strategically. Very often it’s when we go away and escape from the daily routine that we can come up with the innovation that I think that we’ve always say that we should do that a lot more often. But I think our base is very much as we speak now, our focus operationally on the product for Pete. Pete is spending a lot of his time really hammering the product, and insuring that the guys in Poland where our second office is located are focusing on the refinements of the new offering. For my side it’s very much focusing on the commercial aspects, especially in the current environment. We are a business that predominantly relies on advertising revenues. And whilst we are potentially seeing a bit of a light at the end of the tunnel of this recession, we are still very far from the good days. I think that we are having to work even harder than what we used to to bring revenues, as many other businesses. The advertising space is hard. Even if the penetration online is still growing, I think convincing the media buying agencies to spend these days is obviously a more challenging exercise. So I think that it’s certainly not the lifestyle and glamorous, being able to work remotely and having the time to travel all over the world. If anything, it’s very much keeping your head down and working as hard as we can, as long as we can to move quickly. We are competing in an environment where we know that the technology is evolving extremely fast. It’s very hard to keep tab of what’s happening, especially when you have leaders like Twitter and Facebook that clearly have a huge amount of capital and cash at bank, which allows them to grow very quickly and be aggressive. Unfortunately, there are many companies in this space that don’t have the luxury of being aggressive because of lack of funds. We are lucky to be a business that has capital, cash at bank and saying that, we still have to be very cautious in the current environment. Brilliant. Yeah. Completely agree. One of our past interviewees mentioned a really good quote. Entrepreneurship is living a life like most people won’t live the rest of your life, like most people can’t. I think that’s exactly what you are doing. You are putting in the hard hours now. When it comes to the lifestyle, I think that the only thing I can say and I’m sure Peter will agree here, if anything the best life is to wake up every morning and being extremely thrilled and enthusiastic about work. We are passionate about what we are doing and we have been doing it for years. And I think that the excitement about what we do, is the ability of actually doing what we like best. And I don’t think there is anything in this world right now that we could see ourselves doing differently. We’ve always had the dream of living a corporate world to drive entrepreneurship every day. And now we are doing just that. So I think we should be, if anything, very grateful and recognizing the opportunity that was given to us to be able to do just that. There are very few people in this world that have been given this opportunity and we are very grateful for it. That’s very refreshing. I’m glad you see it that way. So why should have a lot of readers on my site who are businessmen and they travel a lot. Should they be using wayn.com? WAYN is definitely a mass market focus. It’s not your kind of elitist or pure business focus only. However, having said that it doesn’t mean to say that it is not in any way useful for the elite, the business oriented folk out there, as well as everybody else. The beauty of WAYN is that it is in some respects all things to all people. And the focus now that we have on the plans in the future should allow people to coalesce a bit more around that, their future intentions and what they are interested in doing. Wherever they are, whenever they want to do it. So I think that therefore it is quite a transcending utility. It you think about Twitter, Twitter wasn’t built for business, but it is universally adopted by both business, social and other alike. So I think that the challenge is obviously to try and not be too broad that it doesn’t appeal enough to a certain core demographic while at the same time has the value to different key markets that are important to us. So answer your question I would say that it’s not primarily focused for business but anyone, all of your listeners and followers can certainly gain a lot of value from it. But I would say it’s primarily for on a social dimension that it is on a business dimension. Brilliant. To finish up the interview, I’d like to ask you guys a quick, few, fast action questions here. Just give me your first answers and that would be great. So, the first question is: who do you look up to? Just keep believing and as long as you are very driven and believe in what you do, you should never give up. Also, always surround yourself by people that are a lot more clever than you are. I think entrepreneurship is all about insuring that you have people that can actually advise you. And having a great team and trust amongst your close circle is by far the most important thing in success. I think that one of the things that has resulted in, I believe, in Peter and Mike and myself, to get to where we are today is actually the three of us. The fact that we are very different yet very complementary. The fact that this triangle sort of cofounder structure has worked extremely well because there was a great amount of trust. It sounds very obvious that you should never go into business with people that you don’t trust. But you would be surprised about the amount of entrepreneurs and people that are either isolated or usually get frictions, tensions at some point in their career. We’ve been doing this since we met in 2002 and seven years later we are still, like the palm of our hands, best friends and business partners, which is great. If the Internet had not existed, what do you think you would be doing? Oh, gosh. I’d be at Accenture. I do have a few ideas, personally that I would love to do at some point in my life. But I won’t reveal them just now. But I think that yeah, if there’s a good chance that we would potentially still be working for Accenture. Realistically we still have this drive of working as entrepreneurs and if it wasn’t WAYN it would have been something else. But we are glad it was WAYN because it definitely has been I think a successful journey up until now. Yeah, it could have been a string of restaurants, hotels, bars, you name it. Brilliant, thinking big. I like it. And what do you like best about the Internet? The fact that things change so quickly. And that you can pretty much do whatever you want and get access to any information. Particularly on Twitter now, it’s amazing. You can pretty much ask any question and find somebody who can help you, which is great. What I find very exciting personally about the Internet is the ability of seeing the result of your work extremely quickly. I do remember days when Peter and I were flabbergasted at some of the results that huge changes were being made on the site and bringing amazing results that you could see usually by the minute. And observing the trend, literally just happened on a quick release. These are part of the very amazing, exciting moments of an online business where you can sometimes just sleep and waking up in the morning realizing that amazing things have happened whilst you sleep. The community is alive 24 hours, seven days a week, wherever you are in the world. And I think that the Internet is amazing for that. My last question is what do you like least about the Internet? The fact that things change so quickly. Because it also means that your competitors can catch up very quickly, as well. So keeps you on your toes. Any goals you would like to achieve? Any lifetime things you would like to do? Yeah. Turn WAYN into the largest and most successful business when it comes to lifestyle and travel on line. I think we’ve got some amazing aspirations with this new strategy that we are launching. We’ve got great ideas and how we are going to execute them on a monetization of these new strategies which we can’t reveal too much on about. And as far as we can keep on doing this job and driving WAYN to be an amazing brand, then so is the dream. I think we are not the sort of guys that will want to do WAYN, then sell it. Then move on to another idea. That could a possible route, but I think it would be passionate to the core of the WAYN brand. It is our first venture and I think we believe in entrepreneurship to the core that you are driving it to a long and sustainable journey versus doing something to sell it and then moving up to the next thing. We are more the first option. I would build on top of that and say that in the longer term, bigger picture, because we’re not necessarily going to be running WAYN for the rest of our lives. But I think that we definitely see the vision of helping other entrepreneurs on their journey at the beginning of when they are starting up. Also being I guess active in the community to encourage entrepreneurship and hopefully help the next generation of entrepreneurs to realize their dreams. So be a combination of an element of serial entrepreneurship, I believe, whether it be the WAYN world after the Wayne’s world and supporting those others who are trying to do the same thing. Thanks Peter and Jerome, it was great to speak! Great interview. Lots of cool insights to learn from. Impressive.. wonder how I had never heard of them? Glad I read Income Diary for such rocking interviews. Wow! Talk about inspirational. You guys has cashflow positive from the start! That’s much better than myspace and facebook! Definitly helps being in the travel niche, can’t believe over 1,000,000 of their first sign up’s were paying! Certainly an interesting interview, ill be checking back to this one! I’d never heard of wayn.com either! I love the honesty in your interviews. thanks Michael. As a wayn user. Loved this interview and all the questions from the people behind wayn. Awesome interview – very clever guys. Been following WAYN for a while (one of my Fav sites) – but had not appreciated the funding they had received and just how big a business it was. Great interview, would like to start something like this one day. Keep these interviews coming. What an amazing interview! 15 million members…where have I been? This is the first time checking out WAYN, but it’s very cool!! Thanks for sharing this with us!! Glad you enjoyed it, they are doing some great stuff. Expect to see a lot more from them. Wow, awesome interview. 15 Million members, WOW! Great Interview !! I have been following your blog for a couple of weeks and I must say that you have Awesome content and it is always wonderful to reach each and every interview that you do.. Great Job.. Keep it up!! Great example of how viral marketing is the best. Great Interview Michael! WAYN is a great example of how a smart publisher can partner with an exclusive ad rep firm to monetize their audience to the maximum.